"Having an MBA helps me to better understand the business impact of a company’s legal problems." Since joining Leisawitz Heller in 2001, Eden Bucher has concentrated most of her practice in the areas of commercial transactions, debtor/creditor law, and general and commercial litigation. That said, she is one of the firm’s most versatile lawyers, handling real estate, municipal and fiduciary litigation matters too. She is admitted to practice before the Pennsylvania Supreme Court and the United States District Court for the Eastern District of Pennsylvania. Eden received her Juris Doctor and Master of Business Administration degrees simultaneously from Widener University. She is a member of the American, Pennsylvania and Berks County Bar Associations, as well as the Commercial Law League of America. Eden is a member of the firm’s Business Group and a member of the Federal Civil Practice and Procedure and Bankruptcy Sections of the Berks County Bar Association. 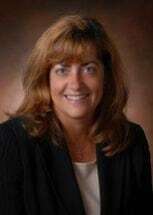 She currently serves as a Conciliator for the Berks County Mortgage Foreclosure Diversion Program, is the Berks County Credit Card Arbitration Master, and is the co-solicitor for the Borough of Womelsdorf.